The Power Max HD 928 OAE with Toro Premium 265cc OHV 4-cycle engine provides proven power and performance to make your job easier in tough winter conditions. Throws snow up to 45’ (13.5 m) feet away with a 28” (71 cm) clearing width and 21.5" (55 cm) intake height. 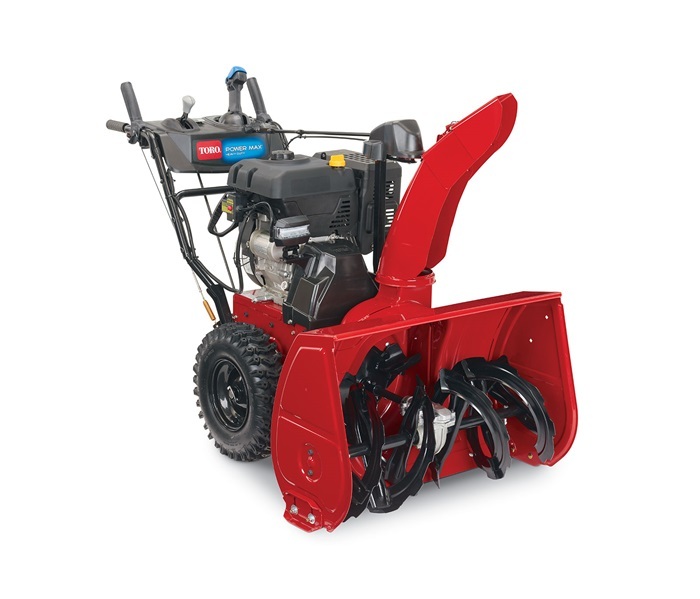 Ideal for concrete, asphalt or gravel surfaces that can park 6+ cars and handle 6+" (15+ cm) of snow at a time. Storage dimensions are 62" x 29.5" x 44.5" (158 cm" x 75 cm x 113 cm). Powered by a Toro Premium 265cc OHV 4-cycle engine, it's ideal for concrete, asphalt or gravel surfaces that can park 6+ cars and handle 6+" (15+ cm) of snow at a time.